In one corner of the United States, mountain goats traipse across the fragile alpine flowers that speckle the snowline of Washington’s craggy Olympic Mountains. They look beautiful, but the goats don’t belong there. Seattle newspaperman E.B. Webster and his mountaineer club 80 years ago pushed to introduce the shaggy-bearded animals to the majestic mountains to boost tourism. So a dozen goats arrived, and the numbers quickly grew to a high of 1,200. Meanwhile, wolves are native to the same mountains of Olympic National Park, but don’t expect to hear their nocturnal howls anytime soon. Neighbors objected when rangers proposed reintroducing the park’s missing predator a few years ago. To some, it’s simple: alien goats, OK; native wolves, not OK. In the opposite corner of the country, native animals of the Florida Keys face a public relations problem of their own. At the tony Ocean Reef Resort in Key Largo, hundreds of feral cats are fed by residents at two dozen designated feeding stations—yet the cats are helping kill off the endangered Key Largo cotton mouse. Farther down the island chain, the federal government has forced builders to stop projects in the path of the endangered Lower Keys marsh rabbit. But the feds are virtually powerless when it comes to protecting the rabbits from residents’ free-ranging house cats, dogs and those ubiquitous suburban freeloaders, raccoons, which are among the rabbits’ other threats, according to the U.S. Army Corps of Engineers. And while the world’s 800 remaining tiny endangered Key deer certainly score as high as Bambi in public appeal, people may love them too much. Illegal feedings cause deer to lose their fear of people and look for food in neighborhoods, where some deer are attacked and killed by dogs. What is wrong with this picture? Throughout the country, it’s a similar story: Whether we’re aware of it or not, we subtly—and sometimes not so subtly—change the natural world by our choices of which animals we like and don’t like. 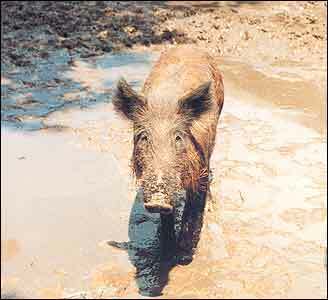 Explorer Hernando DeSoto liked hogs and brought 13 with him to Florida in 1539; by 1993 more than two million feral hogs were uprooting untold acres of plants in 23 states and preying on forest birds, yet delighting game hunters, according to federal reports. Fans of the hog in Louisiana have gone so far as to establish the Wild Boar Conservation Association, which encourages the establishment of boar breeding programs. 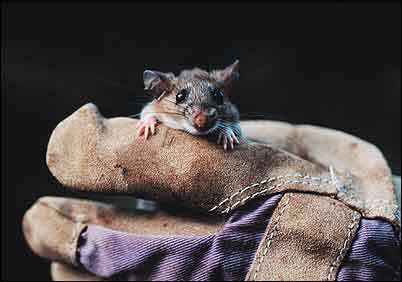 The Key Largo cotton mouse is in danger of extinction from feral cat predation. 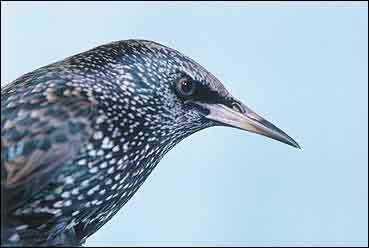 Collector Eugene Schieffelin is believed to have set free a few dozen starlings in New York’s Central Park in March 1890 to introduce the nation to the birds he read about in Shakespeare. Now, their descendents snack at backyard bird feeders and aggressively evict flickers, bluebirds and other natives from their nests across the nation—just as house sparrows, introduced in 1853, harass native robins and displace bluebirds, purple martins and cliff swallows from their nesting sites, according to a 1999 Cornell University report. Indeed, as the human population grows and people move into new areas, they help transform the landscape by bringing along backyard bird feeders and favorite companions: cats, dogs, reptiles and exotic fish (some of which end up in canals and lakes when aquarium enthusiasts tire of them). Meanwhile, creatures that benefit from living around people follow them into disturbed areas, including opossums, raccoons, pigeons and dumpster-diving rats. White-tailed deer and coyotes spread into new areas as they take advantage of the disappearance of animals people don’t like, such as wolves and grizzly bears. Coyotes now live in every state except Hawaii, and they even snack at outdoor pet-food bowls in cities such as Denver, Los Angeles, Phoenix and New York. Coyotes can eat “doughnuts and sandwiches, pet cats and cat food, pet dogs and dog food, carrion and just plain garbage,” according to a 2001 U.S. Department of Agriculture (USDA) report. More coyotes now exist than before the U.S. Constitution was signed, due to an amazingly adaptable scavenger diet and the disappearance of competing wolves. The nation’s big predators are largely gone, notes John Morrison, acting director of the World Wildlife Fund’s (WWF) conservation science program. “We, Homo sapiens, have arrived and marked our territory well,” says Harvard biologist E.O. Wilson in his latest book, The Future of Life. People have “reshaped the U.S. because somehow we as a species wanted it that way. We chose starlings and gypsy moths and honeybees just as clearly as we chose the Grand Coulee Dam and the Sears Tower,” Kim Todd argues in Tinkering with Eden: A Natural History of Exotics in America. Biologists are noticing, however, and seven out of 10 say we are in the midst of a “mass extinction” of living things, according to a 1998 survey of 400 biologists commissioned by New York’s American Museum of Natural History. One in eight known bird species around the world face a high risk of extinction in the near future, according to the authoritative 2000 International Union for Conservation of Nature and Natural Resources (IUCN) Red List of Threatened Species. That means entire species of birds face the same odds of disappearing from the planet for good as a woman in the U.S. does of developing breast cancer sometime in her lifetime. Mammals have it worse: One in four known mammals worldwide face a high risk of extinction in the near future. Some two million feral hogs now live in 23 states, where they disrupt plant life and kill forest birds. Samuel Roberts Noble Foundation , Inc.
Not since dinosaurs vanished 65 million years ago have so many species disappeared so quickly. And this time, it’s mainly due to human activity and not natural phenomena like a comet smashing into the planet, say the polled biologists. They consider biodiversity loss a more serious environmental problem than global warming, pollution or depletion of the ozone layer. In the world’s 4.5 billion years, there have been five mass extinctions. The sixth—and fastest—is under way, say biologists. It may seem like no big deal to lose Florida’s humble Ponce de Leon beach mouse, which has vanished due to “real estate development, and perhaps predation by domestic cats,” as the IUCN Red List put it. But these very factors—habitat loss and introduction of exotic species—are among the main causes of our current global extinction crisis, biologists say. “Many wonderful creatures will be lost in the first few decades of the 21st century unless we greatly increase levels of support, involvement and commitment to conservation,” says Russell A. Mittermeier, president of Conservation International. Though most of those species live in more biologically diverse regions near the equator, the fact remains that about 280 out of 808 known extinctions have occurred in the U.S., WWF’s Morrison points out. To get a sense of what is being lost, let’s look at the continent that explorers Meriweather Lewis and William Clark saw when they took their arduous journey up the Missouri River to the Pacific Ocean, starting in 1804. Fewer people lived in the entire nation in 1804 than currently live in New York City alone. “It’s a marvelous example to show how things have changed,” says Chris Dionigi, assistant director for Domestic Policy, Science and Cooperation for the National Invasive Species Council. And it’s also a dramatic illustration of humankind’s ability to remake the landscape, usually to its detriment. The explorers saw their first American bison, also known as buffalo, in June 1804 at the mouth of the Kansas River, near today’s Missouri/Kansas state border. Clark couldn’t believe the number of buffalo he saw feeding on the plain near the mouth of the White River in current-day South Dakota. Bison were so plentiful above the Milk River in current-day Montana that “the men frequently throw sticks and stones at them to drive them out of their way.” At the mouth of the Yellowstone River, “The whole country was covered with herds of buffaloe, Elk & Antelopes,” the wowed explorers reported, according to The Way to the Western Sea by David Lavender. “The bald Eagle are more abundant here than I ever observed them,” Lewis wrote in April 1805. Grizzly bears occasionally scared the wits out of the explorers in current-day Montana and the Dakotas, and Lewis hotfooted for safety as a badly wounded grizzly pursued him for 70 yards near the mouth of the Yellowstone River. Clark was impressed when a team member later shot what he thought must be “the largest Bird of North America.” It proved to be a California condor (today, among the world’s rarest birds). Throughout their trek, the men saw lots of otter, raccoon and birds such as trumpeter swans (today, the world’s rarest swan). They became the first naturalists to describe several animals, including the coyote, kit fox, Oregon bobcat and the wolf of the plains, according to Burroughs. 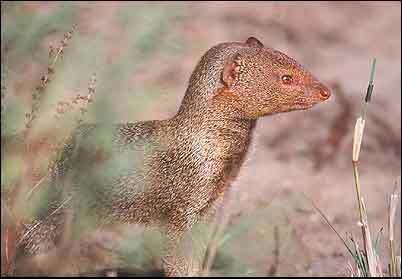 In Hawaii, mongooses imported from India have decimated populations of such seabirds as the dark-rumped petrel and Newell’s shearwater. What Lewis and Clark found on their historic trek has filled entire volumes, but at least two things are clear. The West obviously changed since 1804, as cities sprang up, railroads ferried hunters within easy shooting distance of trophy buffalo, and grizzlies and wolves were pushed into smaller and smaller areas. Secondly, and more surprisingly: Even in 1804, the explorers saw signs that man already had tinkered with the natural world. The horses that galloped past them descended from horses brought over by Spanish conquistadors. North America’s native horse went extinct 10,000 years ago. Dogs, meanwhile, weren’t just companions for Native Americans, they were food. Hungry and fatigued, the explorers resorted to buying Native American dogs. “Clark, at least, could not overcome a sense of revulsion at being obliged to eat them,” Burroughs wrote. By the 1940s, red and gray wolves—once found throughout most of North America—vanished from most of the lower 48 states. Grizzlies—which once roamed the western half of North America—today number around 1,000 in the contiguous U.S. They’re gone from the Bitterroot Mountains, where Lewis and Clark found healthy populations, but they remain in mountains in Wyoming, Washington, Montana and Idaho, according to the National Wildlife Federation. The U.S. Fish and Wildlife Service was poised to return grizzlies to the Selway-Bitteroot region of central Idaho and northwestern Montana, to the delight of conservationists who pushed for the plan. But Interior Secretary Gale Norton overturned that decision last year. Fast-forward to today, and more than 50,000 species of exotic animals and plants now live in the United States, Pimentel reports, including about 20 introduced mammals such as dogs and cats (population 66 million and 73 million, respectively). Clearly, we can’t recreate the North America that Lewis and Clark found. We’ve not only introduced new animals and plants, but we’ve also inalterably paved and built on vast expanses of former wilderness. The nation’s human population now approaches 280 million—overwhelming numbers when compared to the roughly six million who lived here during Lewis and Clark’s trip. Still, we’re going to have to decide together how to manage these changes, and ask ourselves: Are we trying to return the natural order, and especially our wildlife, to as close to pre-Pilgrim days as possible? Are we trying to bring back the “good species” and repress the “bad species”? Do we have a moral obligation to preserve as many native animals as possible? If so, what changes could that mean to our daily habits, and are we ready to try them? began in the nesting areas at Haleakala National Park on Maui. 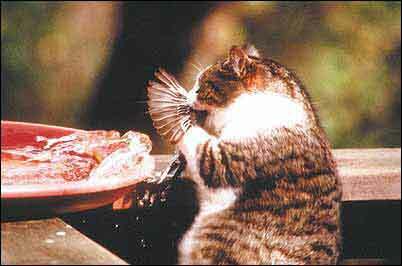 Cats are opportunistic killers of birds; this one is preying upon a yellow-rumped warbler at a bird bath. Elsewhere, dogs accompanied by their owners happily ran leash-free along a vast expanse of beach at San Francisco’s Fort Funston park—that is, until officials determined that one of California’s two Bank Swallow coastal communities used 10 acres of the beach. The Golden Gate National Recreation Area closed the 10 acres to dogs to protect the swallow. That prompted a lawsuit from a dog-loving group called Fort Funston Dog Walkers. Free-roaming cats, thought to live in a newly constructed subdivision in California’s Marin County, are showing up at Cemetery Marsh, a 50-acre spot used as a nesting area and overwintering site by belted kingfishers and snowy egrets, according to the Marin Audubon Society, which is encouraging residents to keep cats indoors. Feral cats, meanwhile, are pitted against California Quail at Bidwell Park in Chico, California, and against rare ground-nesting birds such as California black rail and Western snowy plover at California’s East Bay Regional Park District. Animal rights activists object to euthanizing stray and feral cats at either place. In what is viewed as a success story, Chico residents started the Chico Cat Coalition, removed at least 440 cats, found homes for most and sent about 50 cats unsuitable for adoption to live out their days in an enclosed barn on private property. California quail are once again seen at the park, and it’s unusual to see a stray cat, according to the American Bird Conservancy, which since 1997 has run a national Cats Indoors! campaign. Flushable kitty litter, which hosts dangerous parasites, may be killing the endangered California sea otter. 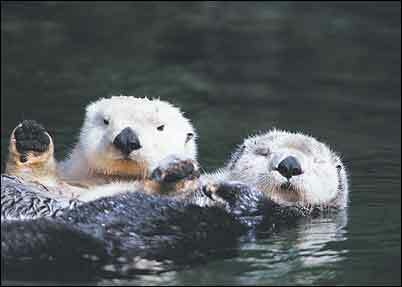 Factors like this have reduced otter populations to about 2,000. “It gets really sensitive when you start talking about cats and dogs and things like that. 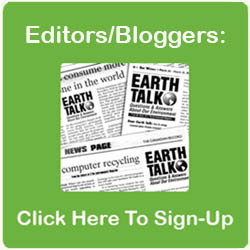 But feral cats and dogs can cause quite a problem,” says the Invasive Species Council’s Dionigi. If Bruce Coblentz had his way, feral cats would be killed, period. “If it didn’t have a tag and it didn’t have a home, I’d kill it in a heartbeat. It’d be no different than stepping on a cockroach. It’s not to say I’m a cat hater,” says Coblentz, a cat owner and professor of wildlife ecology at Oregon State University. Cats are sort of a “third rail” topic among cat lovers, says WWF’s Morrison. Some animal rights groups favor feral cat colonies—designated areas where feral cats are returned after neutering, spaying and vaccinations so they can live out their days outside. But Morrison and Coblentz say it isn’t humane for the native animals killed by feral cats. “You would think people would be advocating for the safety and well-being of native species,” Morrison says. In the end, we’re left with troubling questions about how to try to reverse the world’s fastest extinction rate of animals and plants since dinosaurs roamed the Earth. Is it more humane to kill every last feral hog or round up every feral cat in order to help natives? Or is it more humane to let them live at the expense of natives, such as the Key Largo cotton mouse? The danger is that instead of pondering difficult questions and coming up with our own solutions, we may opt to play a game of cat and mouse with the truth.